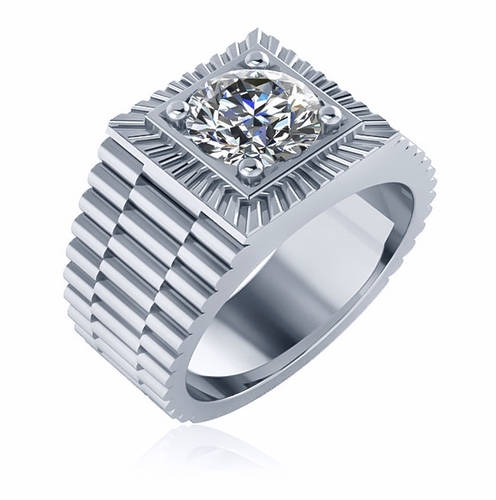 The Roland Ribbed 2 Carat Round Halo Cubic Zirconia Mens Ring features a highly styled design that perfectly highlights the prong set 2 carat 8mm brilliant round. The ribbed shank detailing mimics the look of a sought after watch band. 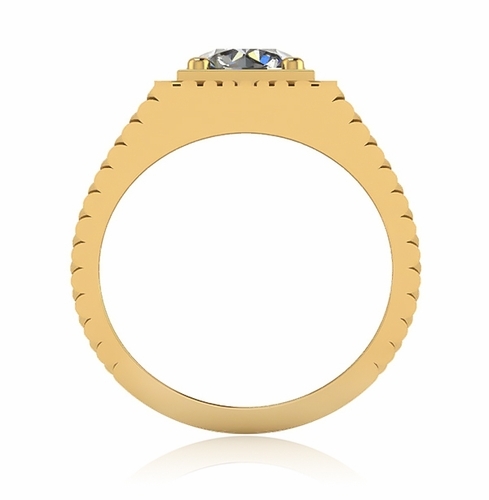 The lab created and laboratory grown cubic zirconia stones are hand cut and hand polished Russian formula simulated diamonds. 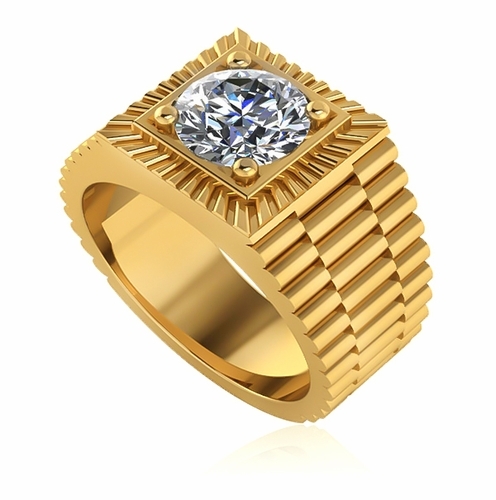 This mens ring measures approximately 7mm at the bottom and 13mm at the very top. 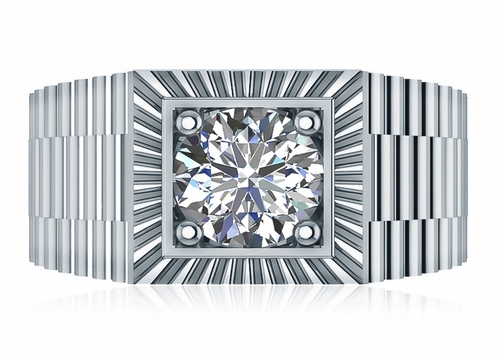 Choose from 14k white gold, 14k yellow gold, 18k white gold, 18k yellow gold, or luxurious platinum. This ring is pictured with a diamond look center stone and you also have the option of a man made red ruby, blue sapphire or green emerald in addition to a yellow canary simulated diamond, or pink simulated diamond. 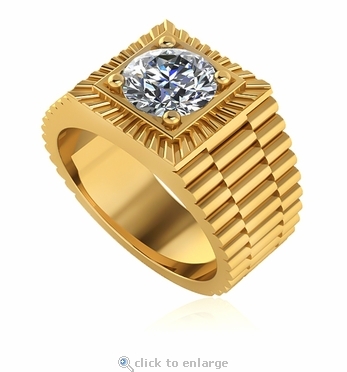 Available in whole and half finger sizes 9 through 13 and custom sizes are also available. For further assistance, please call us directly at 1-866-942-6663 or visit us via live chat and speak with a knowledgeable representative.